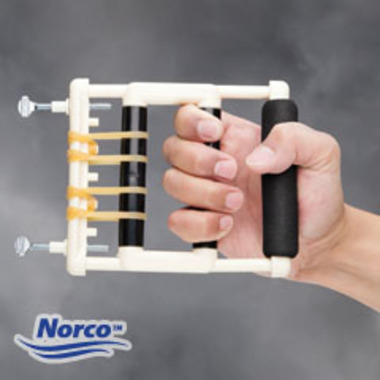 It’s easy to build hand strength with this economical hand exerciser. For light resistance, loop a single rubber band around the top bar of the sliding finger grip. 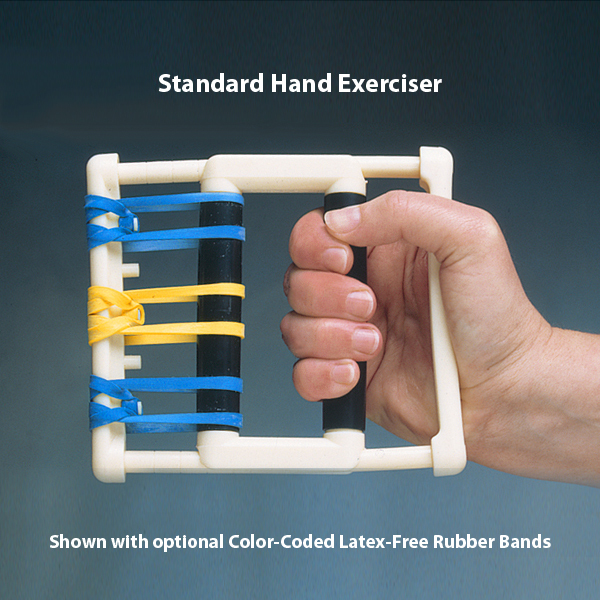 Attach additional rubber bands to increase resistance. Five rubber bands are included, each providing approximately 4 lbs. (1.8kg) of force. 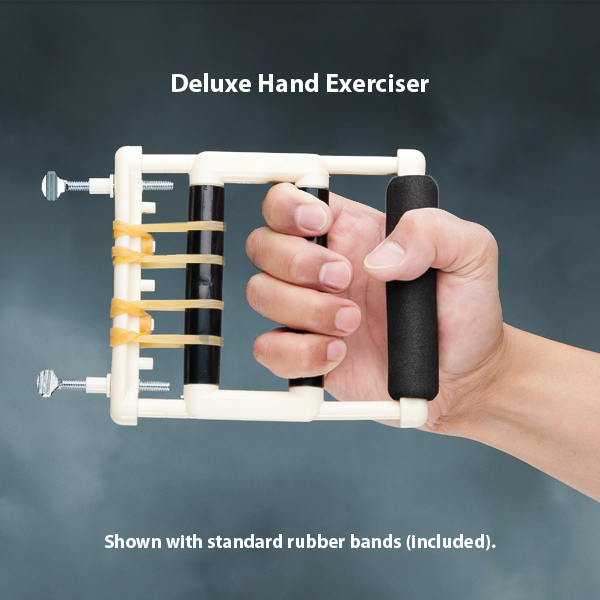 For even greater adjustability, try the Deluxe Hand Exerciser. Two metal thumb screws may be adjusted to change the length of pull to best fit hand size or desired range of motion. The foam hand grip offers increased comfort.